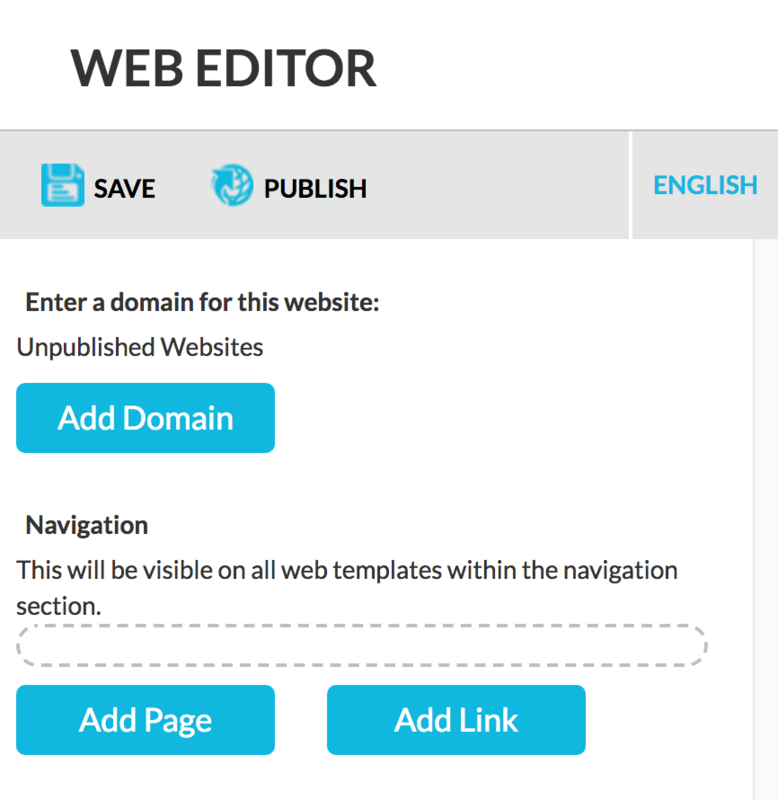 When you’re ready to publish your website, go to the Settingstab in the right hand corner of the web editor. 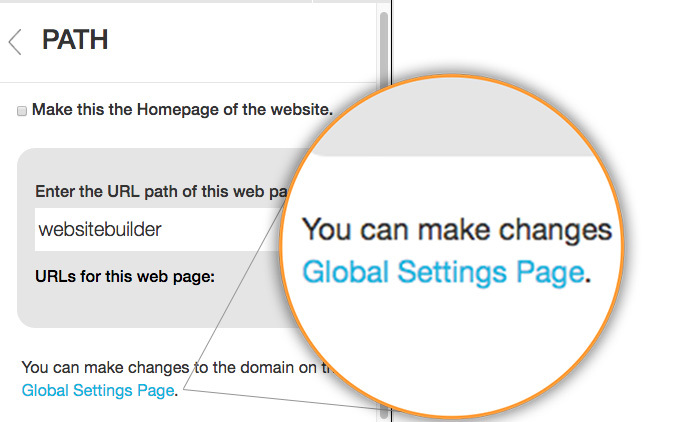 Under Path, click Global Settings Page. Click Add Domain and a URL form field will appear. Enter in the site URL you’ve been provided by your IT department or one that you’ve purchased online. 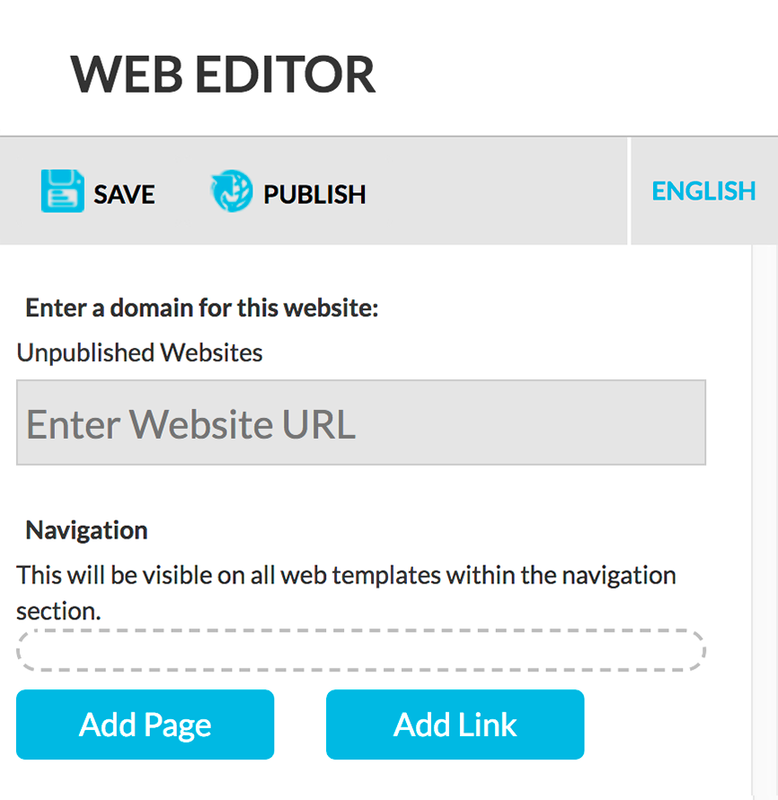 Website domains will always contain HTTP:// or HTTPS:// and must be entered in the following format “http://yourwebsite.com.” When complete, click the Save button and then Publish.